IPL (Indian Premier League), betting, easy money, spot fixing, match throwing and youngsters playing the game. As I had already pointed out with an article at the beginning of the IPL season VI with a heading of "Indian Premier League, the odds, the schedule and my favourite for this year". It seems naive that the authorities don't know that IPL is a milking cow for the betting mafia, it seems that even a kid on the block knows that the IPL is a betting machine but only the BCCI, the IPL organisers and the Police are unaware of the heavy hand of (or turn an blind eye to) betting syndicates in the IPL matches. Now out of the blue, 3 cricketers, S Sreesanth, Ankeet Chavan and Ajit Chandila were arrested by the Delhi Police on charges of Spot Fixing. As usual the Indian media circus wants their heads and some even want the IPL to be banned. How much are they responsible for the whole mess? It is fair to hold the young ones guilty? As all of India knows that the IPL is a cash rich tournament with millions officially changing hands over the player fees, the TV rights, the Internet rights and other pharnaphelia that comes with it like the Cheergirls, the after IPL parties and the Fashion shows, the award nites etc. Now, if you take out the few players who form the crux of each team, that is the established players and international players. We will work out the simple equation : The seasoned players who have played for India and are playing for India know the trappings of the fame and the game. If you take these chaps out you are left with pretty young cricketers playing for each of the franchise. There are total of approximately 50 players including the playing eleven in each squad. The IPL VI consists of 9 teams that make a total of 450 players. In each team there are foreign players, players playing currently for India and veterans. These players constitute up to approximately 100 players out the total 450 players. In this scenario, a teen, who is only about 19 years of age, who has never seen such extravagant amount of money or fame before and will probably never get to see it again, is most likely to fall for the trappings of the betting syndicate. The boy who is not mature enough to understand right from wrong, will easily fall prey to easy money, when he sees that everybody is making hay when the sun is shining. Ditto for the older guys like Sreesanth, Chandila etc. They are anyways too old to make a comeback and even their position in the respective teams of IPL for next year is questionable. So, is it not wise for them to make some quick bucks while there is a chance. They may have not get a second chance in life any time. So if you search for truth, it is not the Sreesanths of the world who are to blame but the BCCI and the IPL management which has created a Frankenstein in our midst because of the Government policies. It is the Government who is playing a hide and seek with the betting mafia by not legalizing the betting in India. India along with Pakistan are known to have a huge population of betting public. If these guys don't have any source to legally bet on the games it is but natural, that a parallel form of authority takes over to fill in the vacuum. The authority to fill the vacuum is the betting mafia. The mafia keeps everybody happy including the authorities, the players and who so ever questions them because they are making truckloads of money. 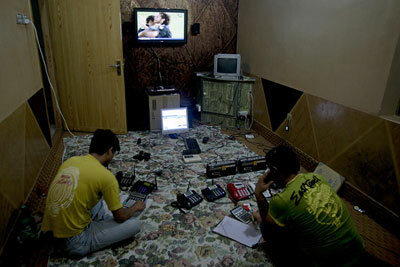 They don't mind throwing a few crores here and there to fix or spot fix the matches. The returns are always 100 times their investments. It is a well know fact that the "Matka" is alive and kicking because of help it gets from the authorities. It is also well know fact that the dry days (days when liquor is prohibited) are actual bonus days for the policemen to make a few extra bucks. IF this all has to stop, the Government has to make betting legal and enforce some kind of taxation on it so that it can contribute something to the exchequer and the development of the country. But believe me some people want the current situation to continue so more and more hapless and naive cricketers fall prey to the trappings of the IPL. Every time we have a scandal we cry over split milk instead of arriving at a reasonable long term solution for the problem. Wherever easy money is involved, it is bound to happen. IPL is just about money, liquor, women and cheer girls. What else we should expect then? :( sad state of affairs ! !